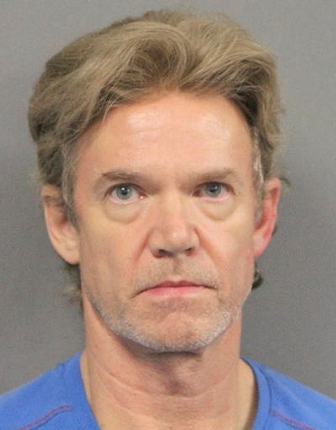 The Louisiana man who fatally shot ex-NFL player Joe McKnight during a road rage dispute was jailed on a manslaughter charge as a sheriff angrily defended the investigation Tuesday, saying authorities “strategically” waited for days to make the arrest because they needed to find independent witnesses. “This isn’t about race. Not a single witness has said ... one racial slur was uttered,” the sheriff said. The case comes at a time of intense scrutiny in the African-American community about the shootings of black men, in particular by police. While this case doesn’t involve a police shooting, it has flared temperatures and drawn protests at the sheriff's department. 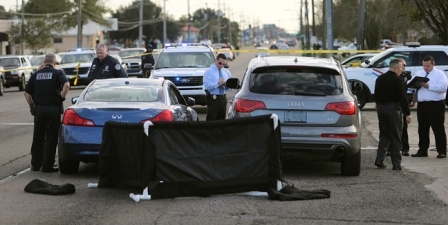 The sheriff said the dispute be­tween the men started on a bridge and proceeded into a New Orleans suburb, with both men driving erratically and yelling at each other. Eventually, the cars came to a stop and McKnight confronted Gasser, who was still seated in his car, the sheriff said. Gasser pulled out a gun and shot McKnight three times, killing him. When deputies arrived, the sheriff said Gasser handed them his gun and said he shot McKnight, 28. 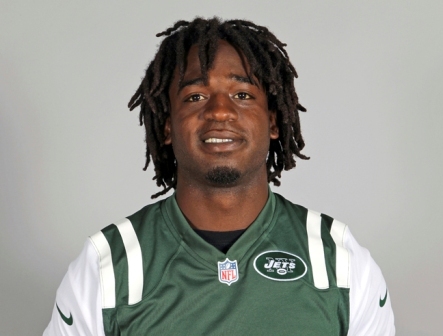 The sheriff said McKnight had a gun in his vehicle but no evidence suggested he insinuated anything about it. 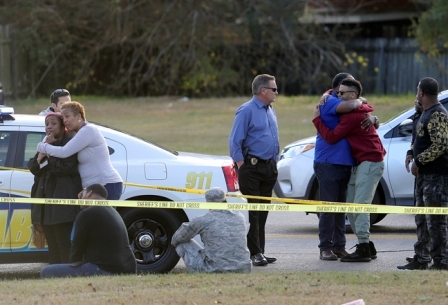 It was his stepfather’s gun, and his stepfather's vehicle, the sheriff said. “We have sometimes unrealistic expectations of how these things work ... you don’t just run out and start slapping cuffs on people,” Normand said.